Payments can be made with money order. PA residents must pay 6% sales tax unless you have a valid resale number. We mail to the United States only. Purchaser is responsible for Priority Mail and Insurance Costs. All Sales Final .. No Returns Accepted. 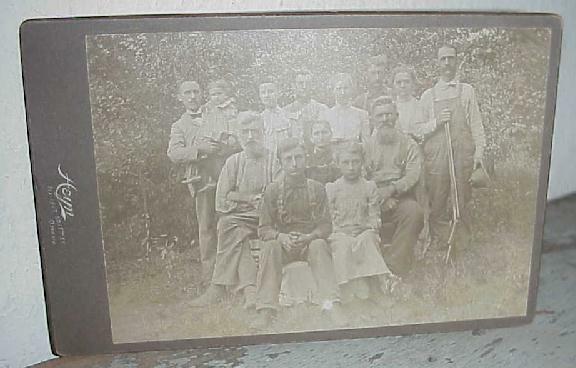 Early Photo … Farm Men ~ Overalls .. Early photo ~ farm men in over alls .. women in victorian clothing ..
One gentleman in over alls holding his rifle ..